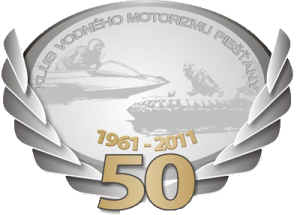 Club of Water-Motorsport Piestany celebrates extraordinary anniversary – est. 50 years ago!!! Our club is one of the oldest, most successful and most active motonautic clubs in Slovakia and even Czech republic. In history club trained plenty successful powerboat and hovercraft pilots and organized huge number of events – from “Big Summer Celebratings on Water”, regular Power-Boats home and international races, “Records Days” (top speed competitions of Power-Boats) and later Hovercraft home and international competitions.